Free on-site energy assessments and energy benchmarking. Assistance identifying energy saving projects eligible for rebates and financing. Incentives to reduce the cost of Energy Star certification for buildings who have a qualifying Energy Star score. The information gained through the Benchmark Your Business and other City energy efficiency programs are also helping shape the educational outreach efforts by the City as it begins to promote its new Maplewood Green Building program to advance sustainable building practices in the City. Follow this link to learn more about the Maplewood Green Building Code. The City’s program benchmarked over 483,000 square feet of non-residential building space throughout the City of Maplewood. At the time of enrollment, the buildings in the benchmarking program collectively used over 4,400,000 KWh annually. Within two years following engagement in the Benchmark Your Business program, these same buildings reduced their annual electric use by 483,000 KWh - an average reduction of 9.83%, while three of the buildings achieved an ENERGY STAR Certification for energy performance exceeding the 75th percentile of their national peers. The average building enrolled in the Benchmark Your Business program saved 1.7 KWh per occupied square foot of building space and an average of $4,164 in annual utility savings. The environmental impact of the average building energy savings through this program totals over 20,000 lbs of reduced greenhouse gas emissions, equal to 184,000 cubic feet in avoided man-made greenhouse gas atmosphere avoided annually! Learn how to benchmark your building. 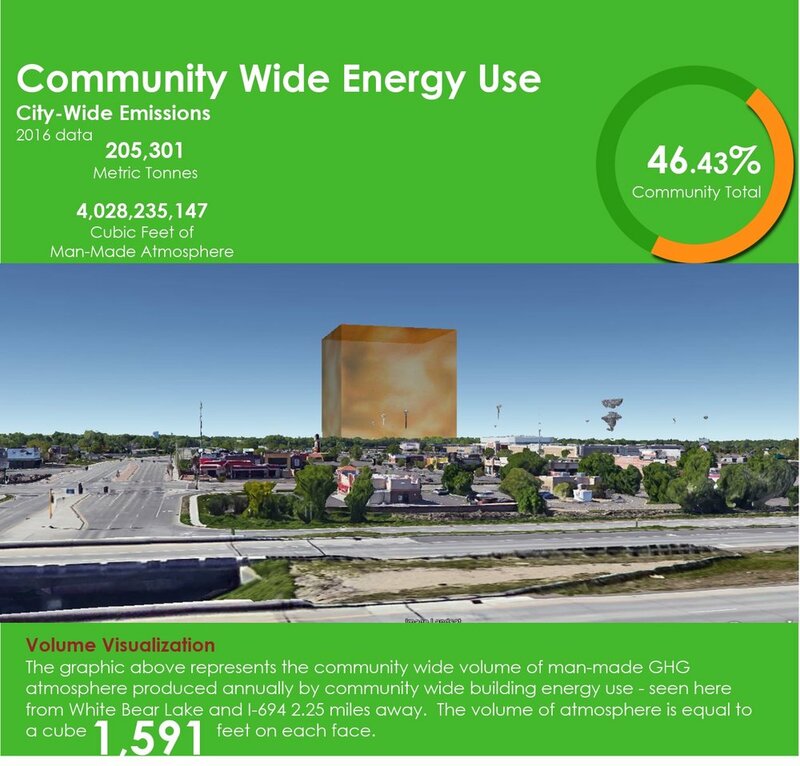 Learn more about the benefits of building energy benchmarking here.